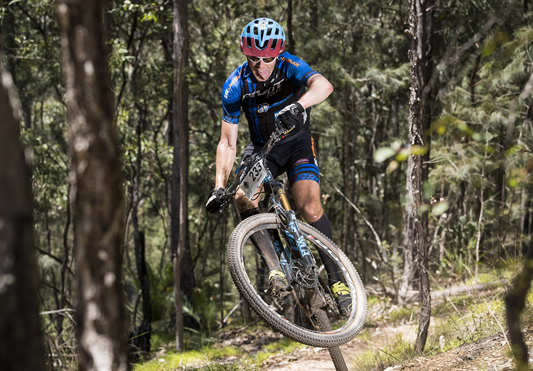 The inaugural Jetblack Wild Wombat mountain bike event was held in Mogo on the NSW South Coast on 1 December 2018. The classic 12 hour format included a ‘Wild Solo Challenge’ and the seven-time 24-hour Solo World Champion Jason English from Newcastle reached his goal of completing 220km on the 10km circuit, winning the Solo Male classification outright. In the women’s in was Canberra’s Gwynn McLeod who won with 16 laps. Many local racers participated with Cory Dimmer from Batemans Bay placing second in the solo men’s and John Gardner from Cadelo in third. More than 200 mountain bikers from all over NSW and the ACT competed in the first Jetblack Wild Wombat mountain bike race in Mogo. The event centre was located in the Eurobodalla Regional Botanic Garden and the accompanying families and supporters enjoyed the picturesque setting, many ducking off for a swim on the surrounding beaches during the day. Many local racers took part in the event and Batemans Bay’s Cory Dimmer was the outright runner up in the Men’s Solo competition and winning his 40+ age group with 18 laps in 11:57:24. John Gardner from Candelo won the 50+ solo division and came in third overall also on 18 laps and about half an hour behind Dimmer. In the women’s Gwynn McLeod took out the solo division with 16 laps and a race time of 11:44:24. The Canberra rider is the reigning 24 Hour Solo World Champion in her 30+ age division after recently competing in the World’s event in Scotland. 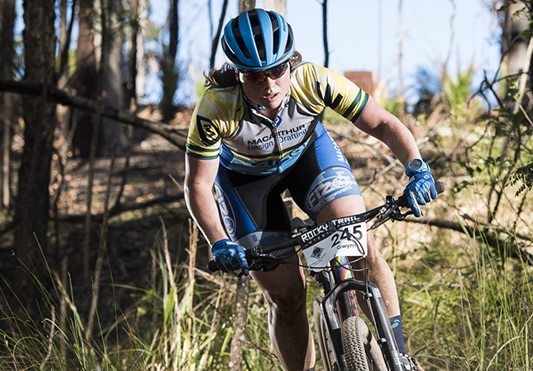 With a third placing in the amateurs overall and an eighth place outright she is quickly establishing herself as one of the leading endurance women in the country. In second was local racer Leah Childs with 14 laps in just over the 12 hour mark ahead of Sydney’s Claudia Fiess who clocked in an equal amount of laps. It had been a different experience to ride her local trails at race pace, Childs said of her race. In the overall results the outright line honours were claimed by former 24 Hour World Champion Craig Gordon from Wollongong and his nephew Owen Gorden. The Jetblack Racing Team pair had announced from the beginning that an outright win was the definite race goal for the weekend and proved that a racing bug was in the family by punching out 25 laps in 12:01:10. The Jetblack Wild Wombat concluded the 2018 racing season for Rocky Trail Entertainment and Wisata said that an intense period of preparation was coming up for his crew to launch the 11th year of events with the Jetblack 24 Hour at the end of March.